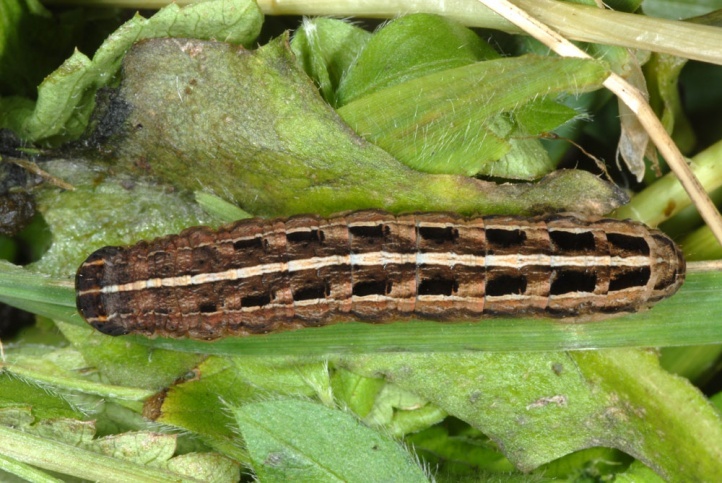 The larvae live polyphagously in the herb layer. 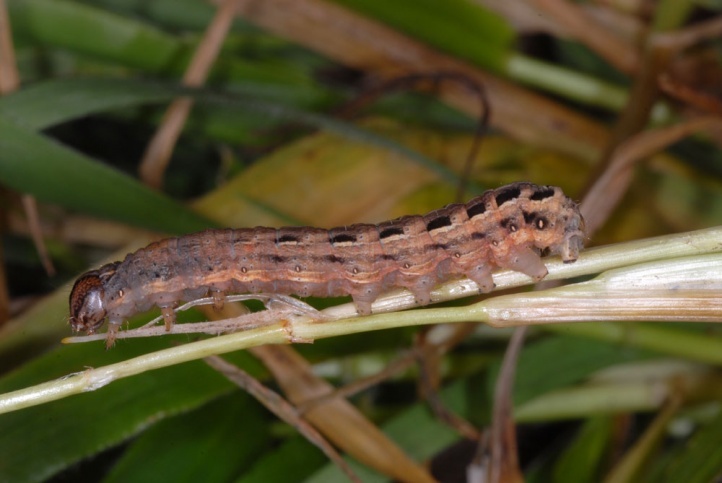 Primarily they seem to feed on grasses (Poaceae), because I found all of my 25 larvae in grasses with feeding vestiges. 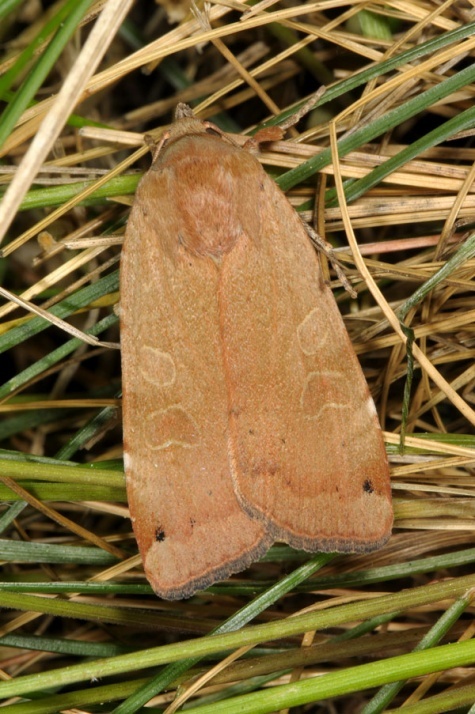 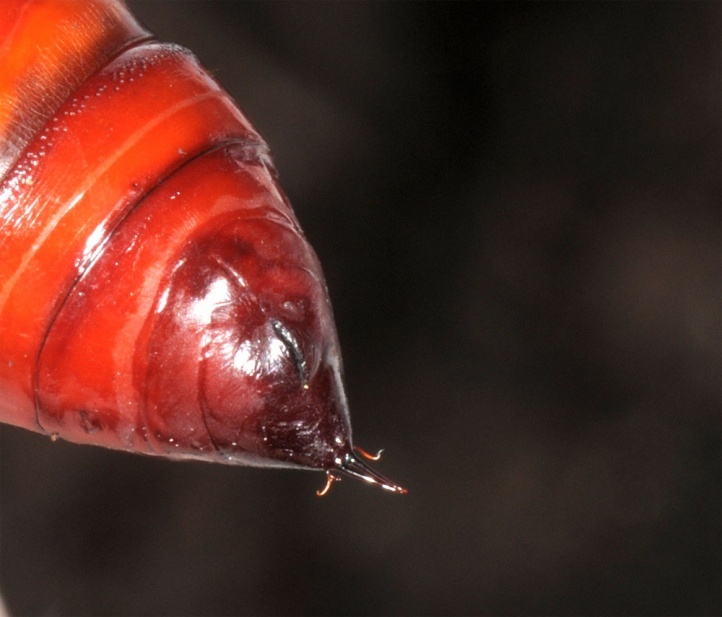 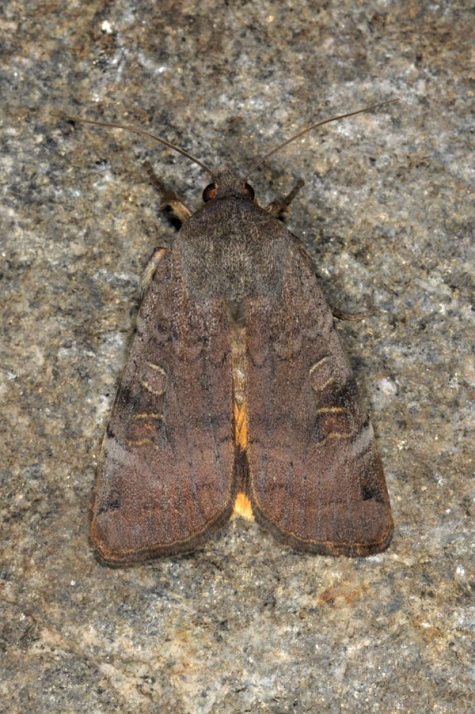 Noctua teixeirai inhabits the higher mountains from 1000m asl (larval observations between 1400 and 1600m asl). 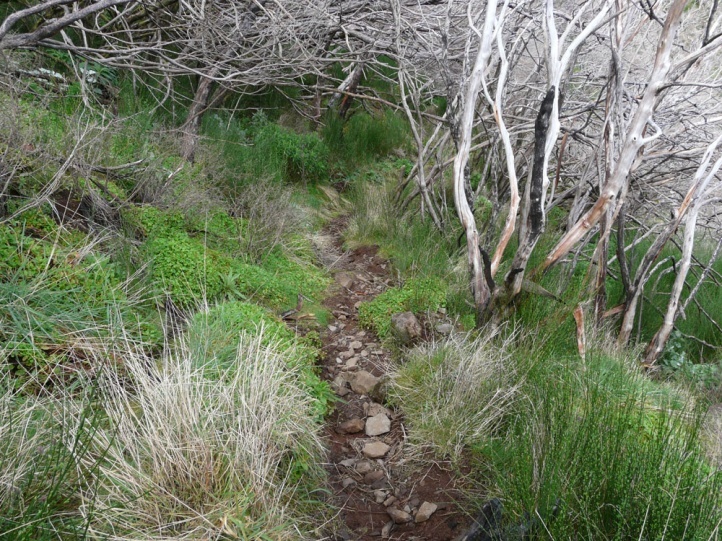 It occurs in a mosaic of light heath and laurel woodland and grassy spots. 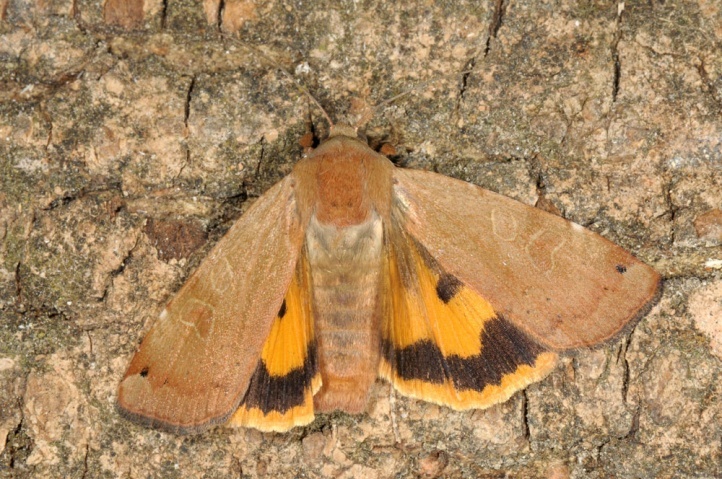 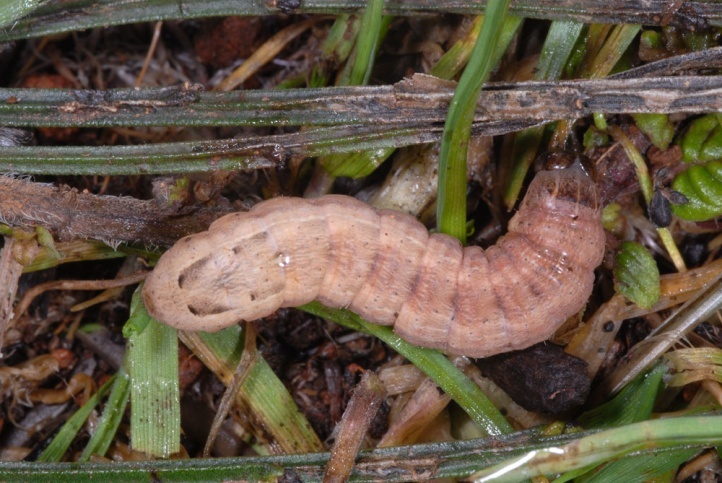 The larvae prefer humid, semi-shady places, but are occasionally also found in more open spots. 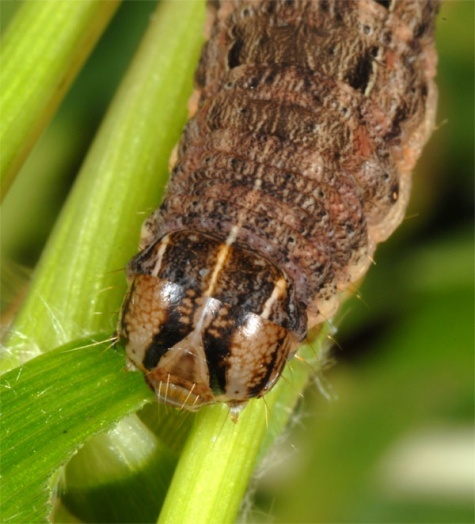 Strikingly they occurred only local, but in higher concentrations and without the accompaniment of the elsewhere ubiquitous Noctua pronuba. 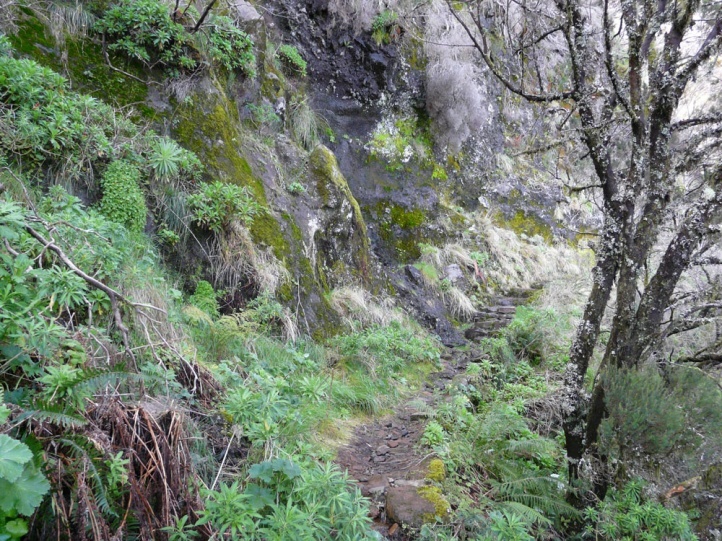 But this may only be a snap-shot. 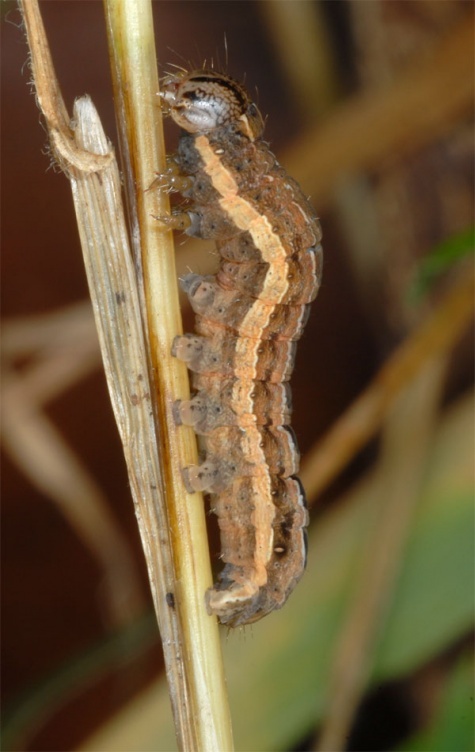 I observed half to fully-grown larvae in March 2013. 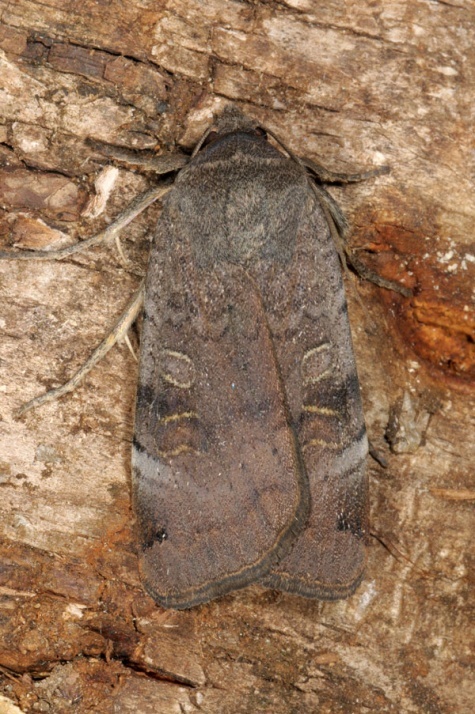 The adults are on the wing between late April and June/July in a supposed single generation. 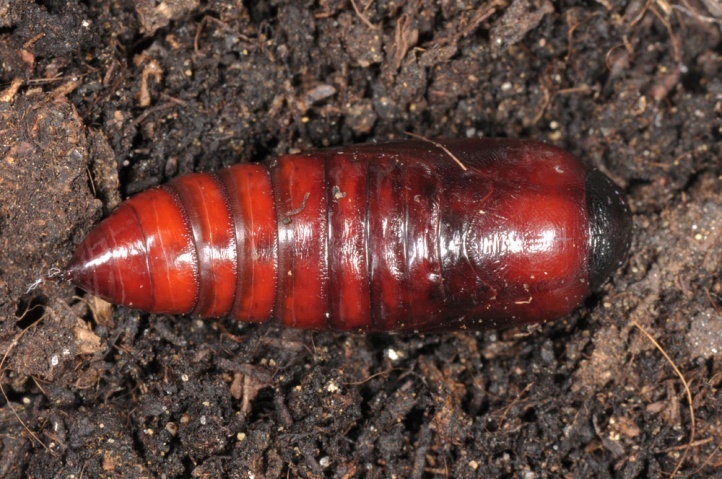 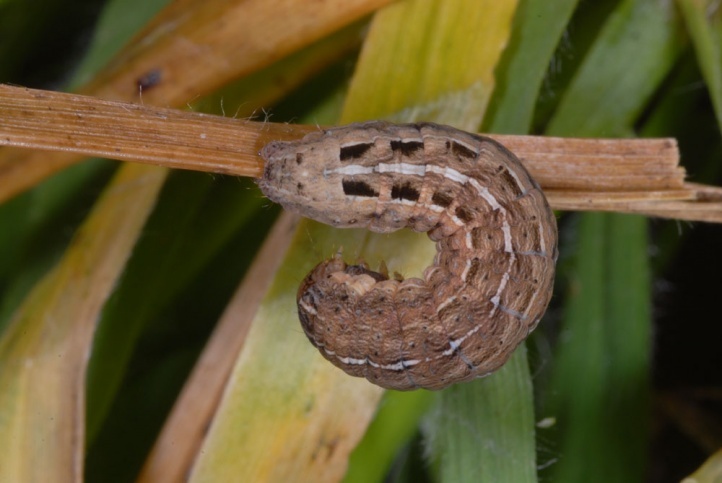 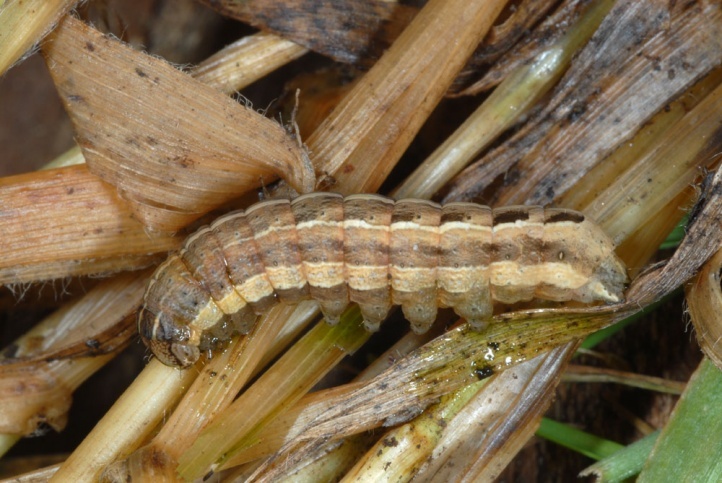 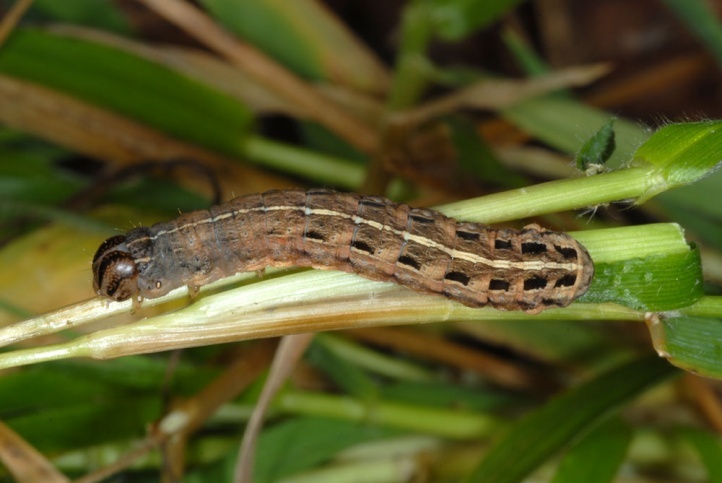 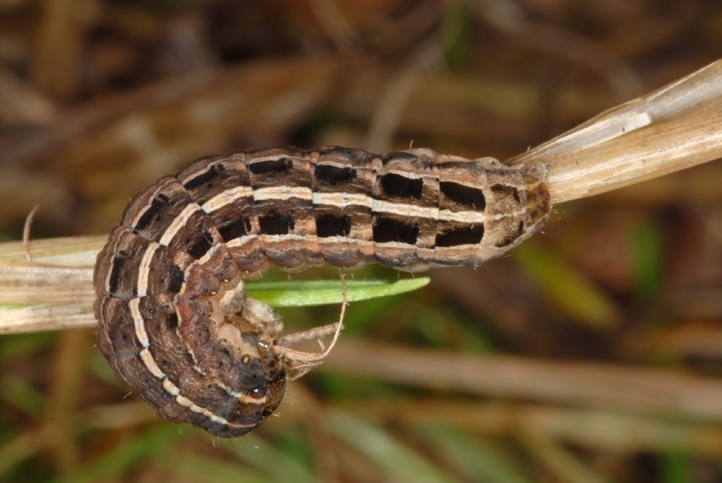 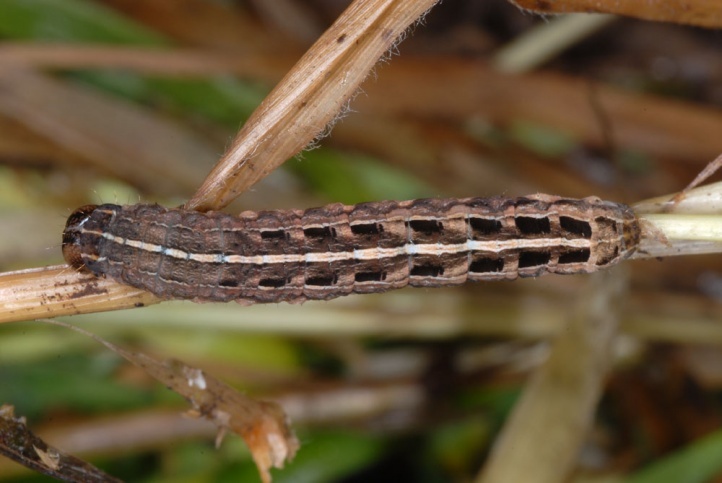 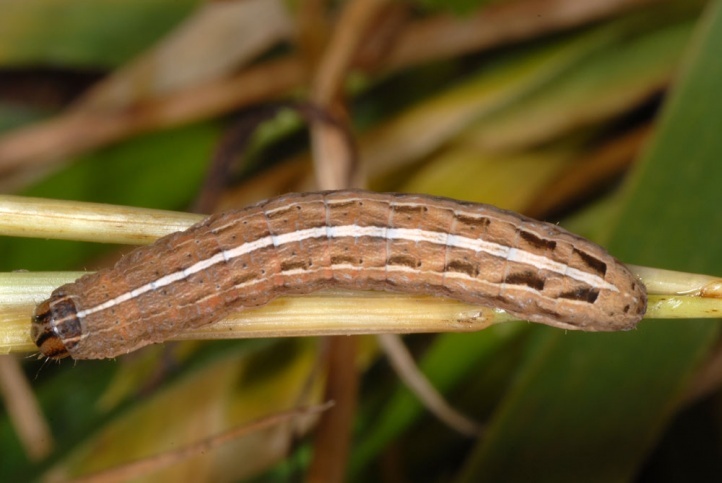 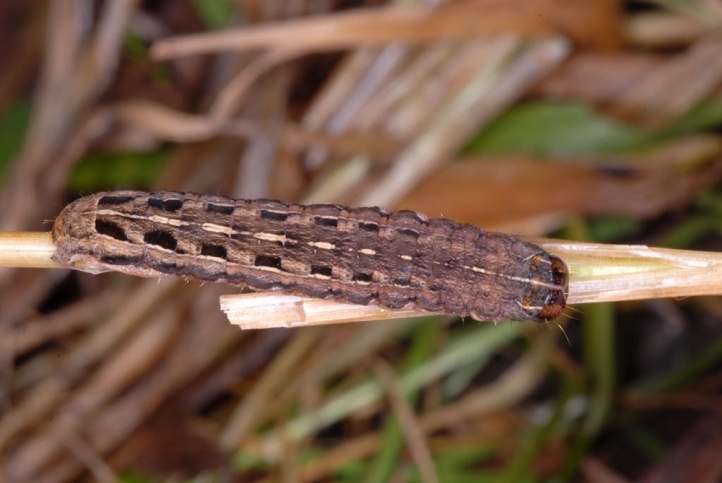 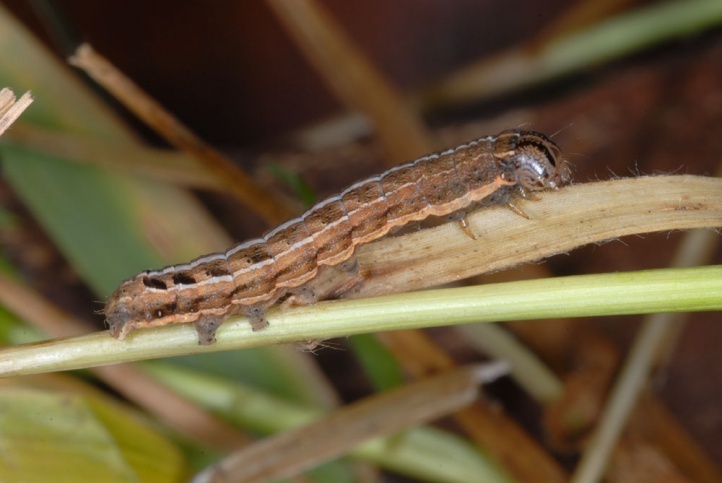 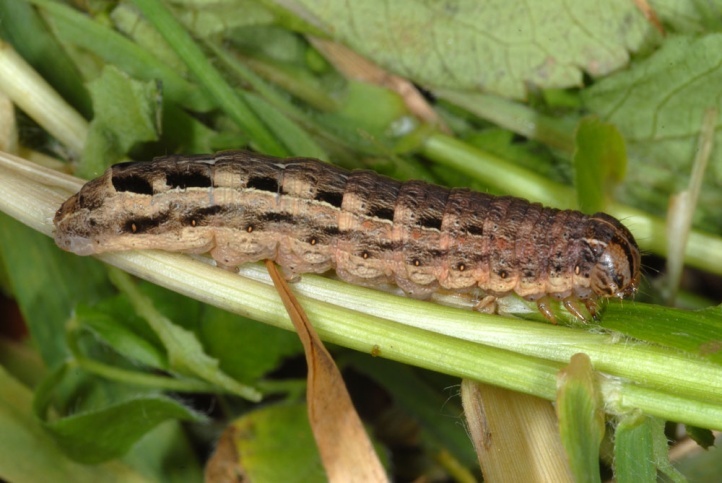 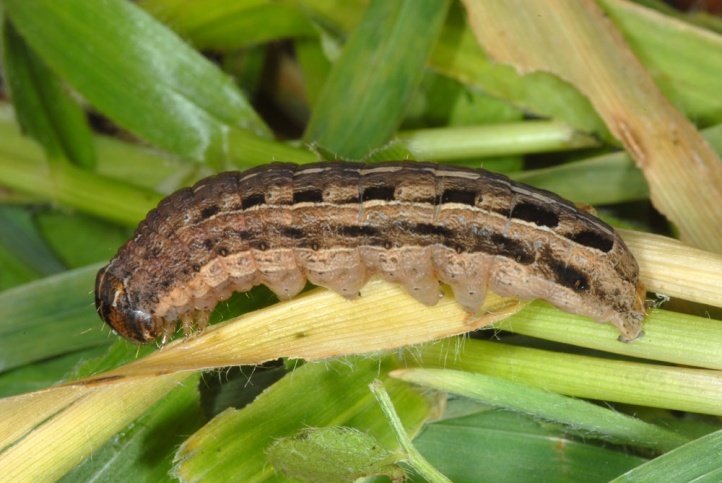 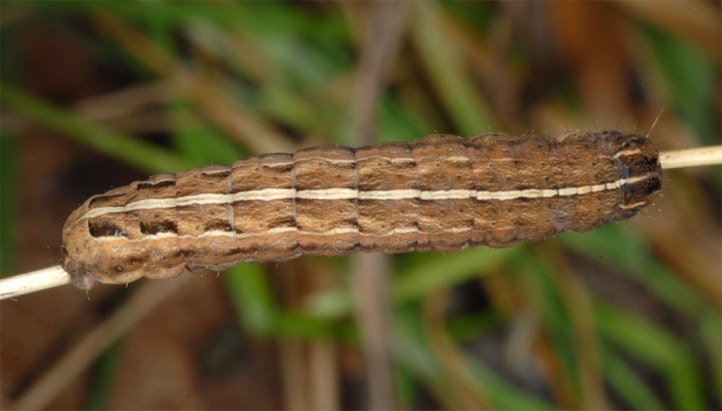 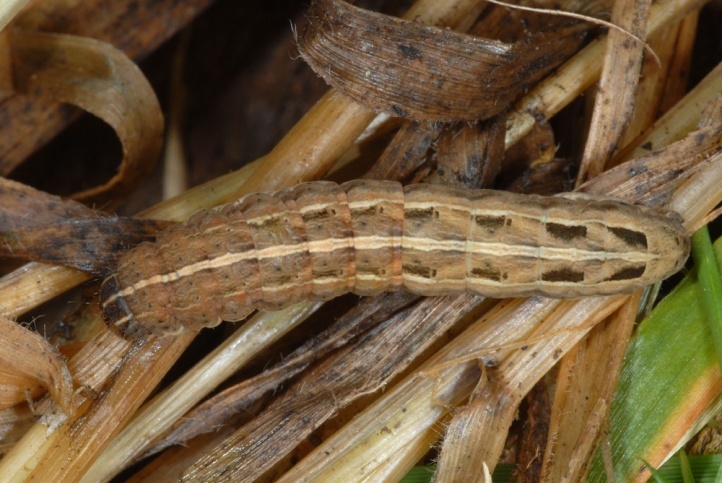 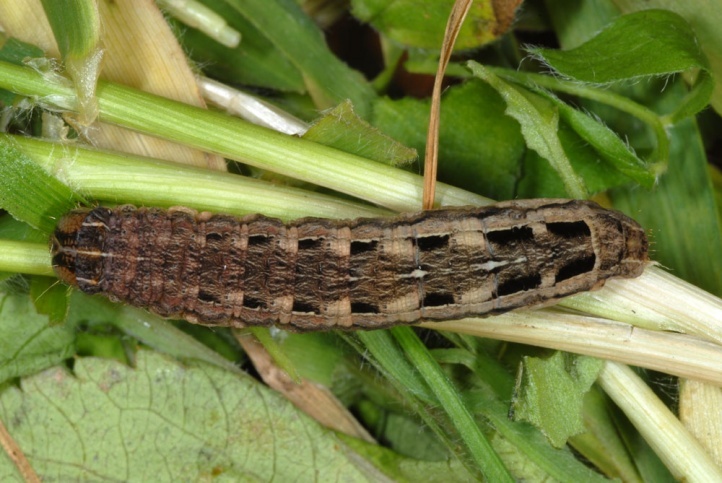 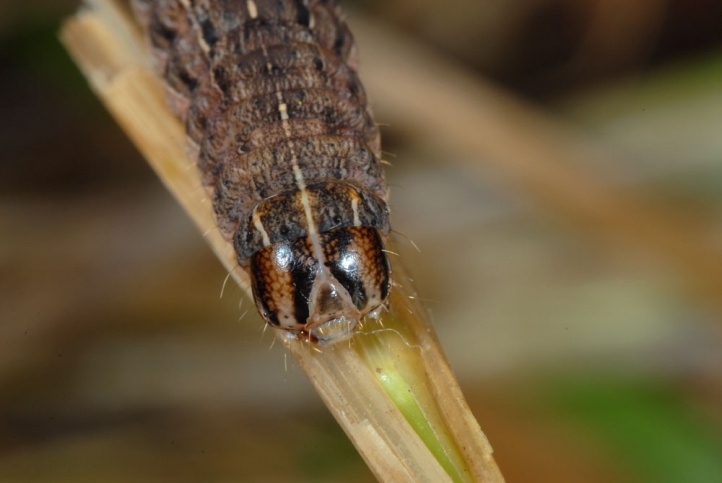 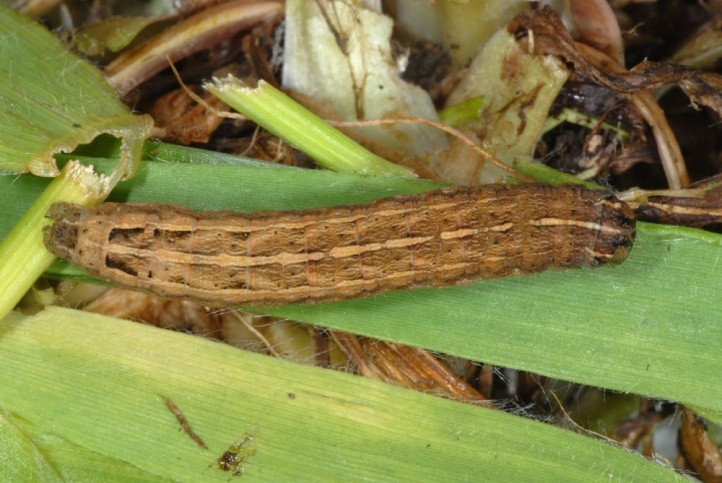 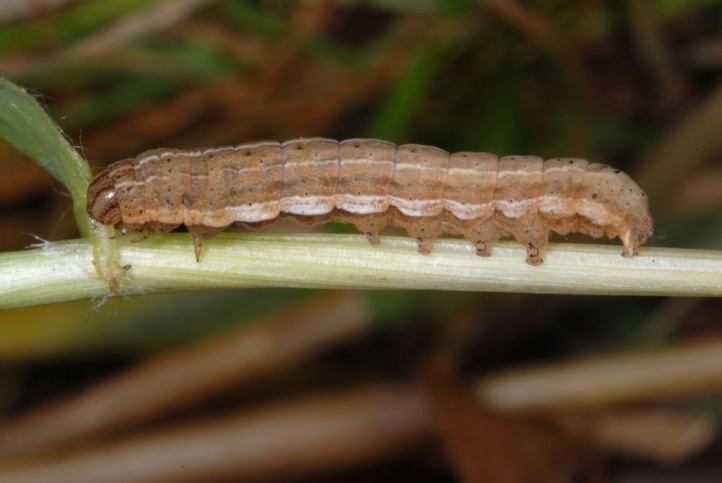 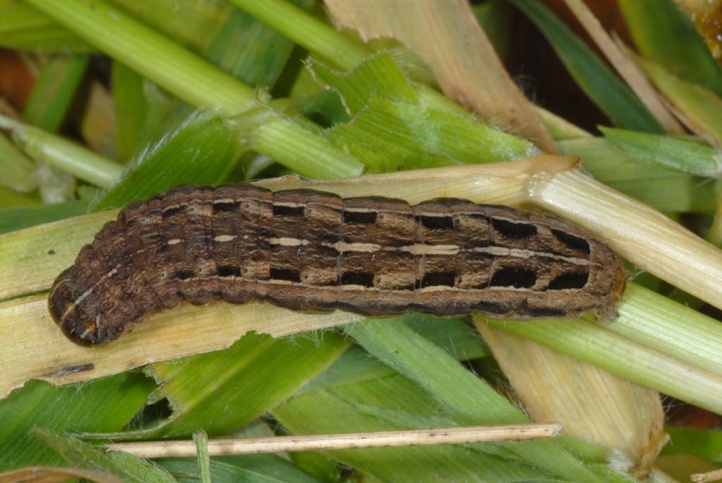 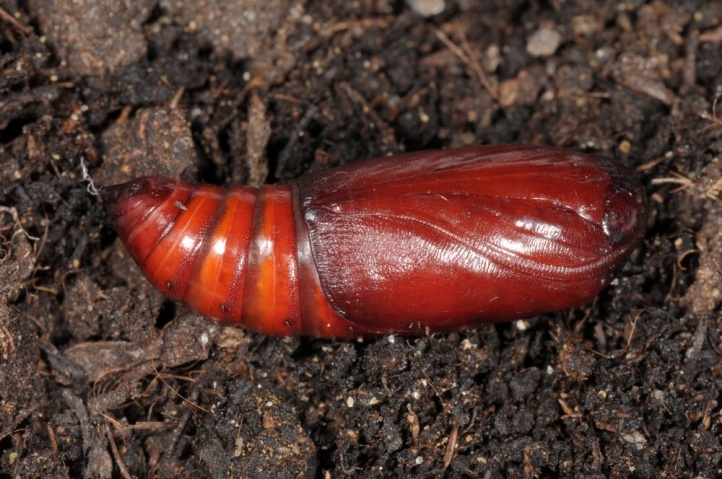 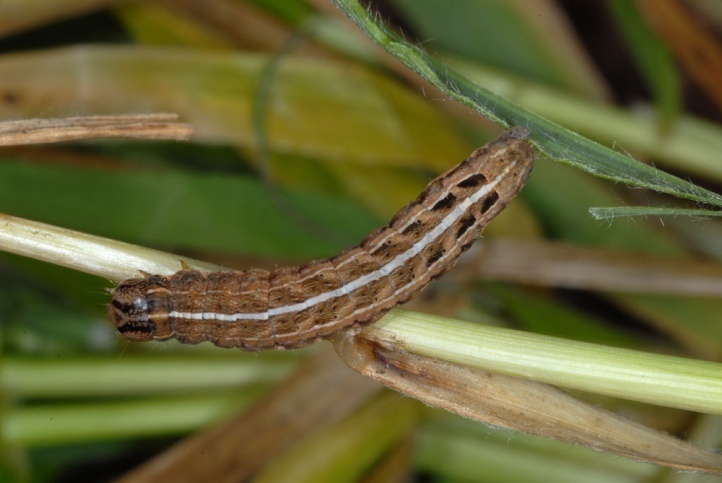 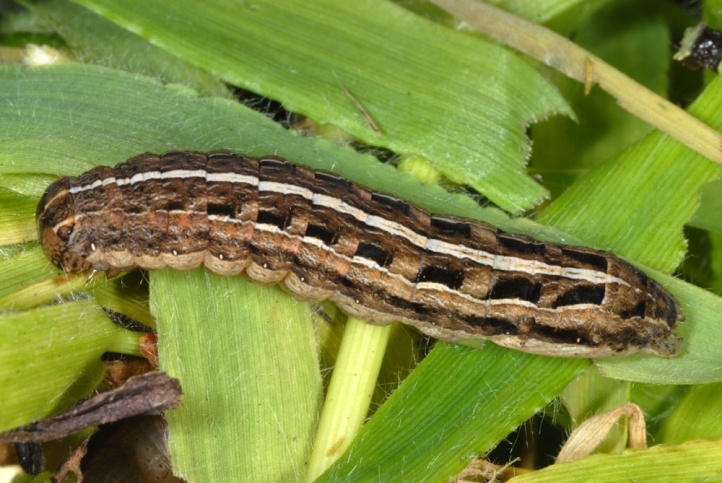 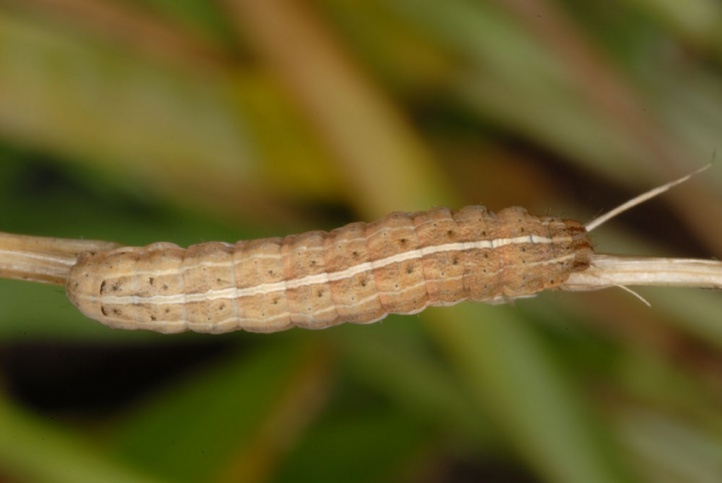 The larve hide in later instars during the day in denser grasses and feed mainly at night. 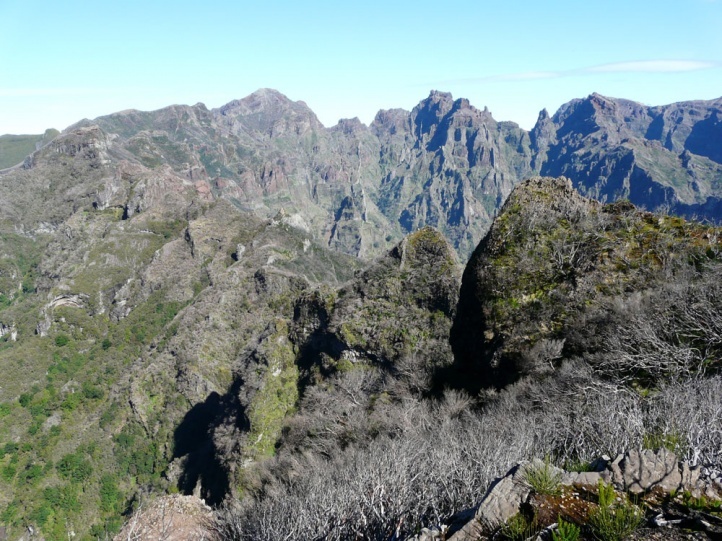 Noctua teixeirai depends on the higher mountains and could be endangered by fires and potentially alkso touristic and other developments. 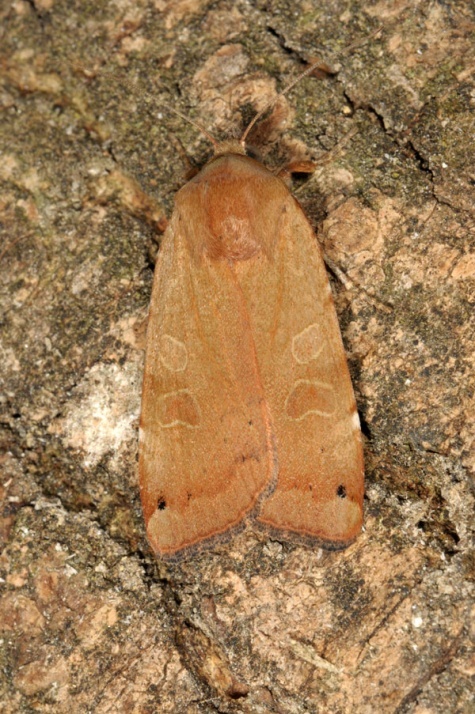 Noctua teixeirai is closely related to the Canarian Noctua noacki and is endemic to Madeira.